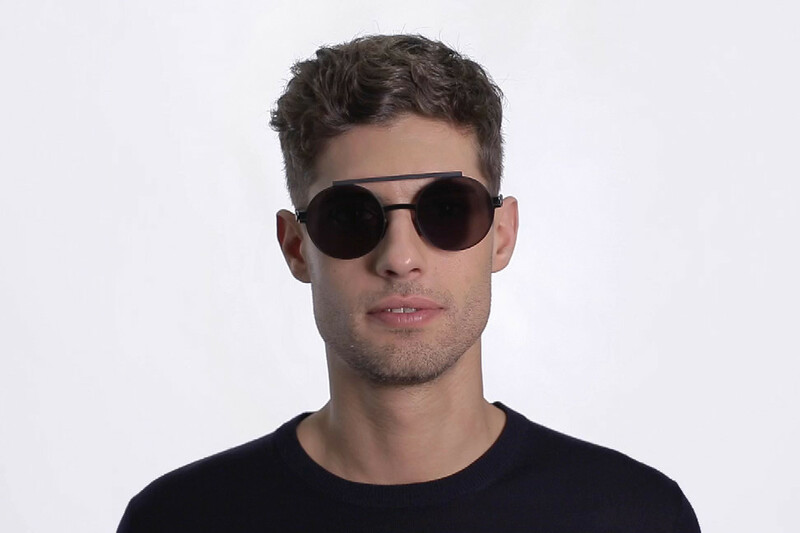 The model wears VERBAL in colourway Shiny Black/Black with Reverse Black lenses. 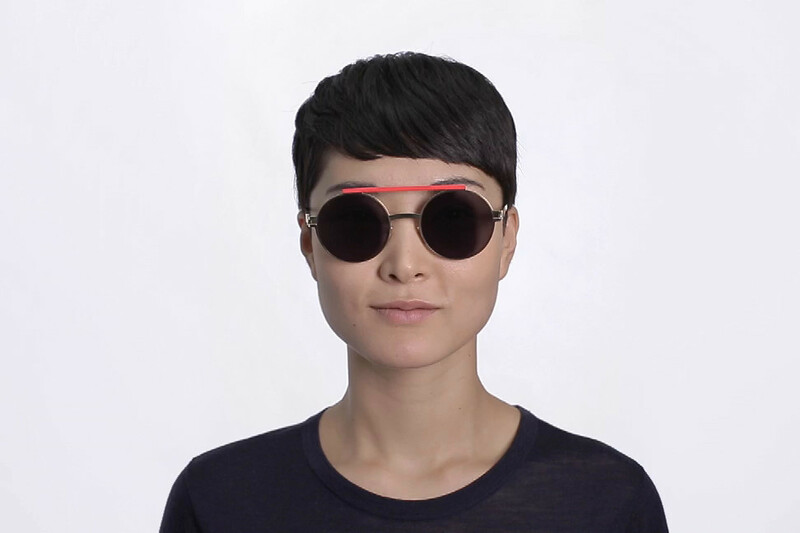 The model wears VERBAL in colourway Gold/Red with Reverse Gold lenses. 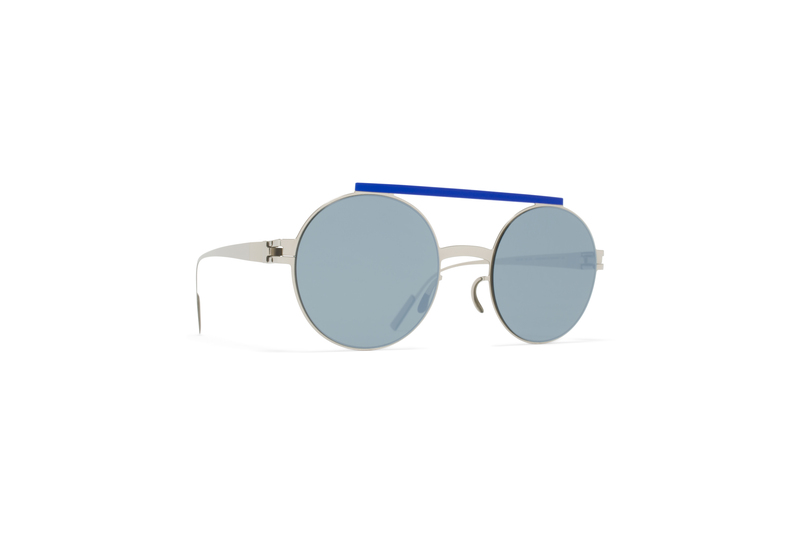 Made of lightweight stainless steel, VERBAL in Silver/Blue is a round-shaped sunglass frame from the MYKITA + AMBUSH collaboration. 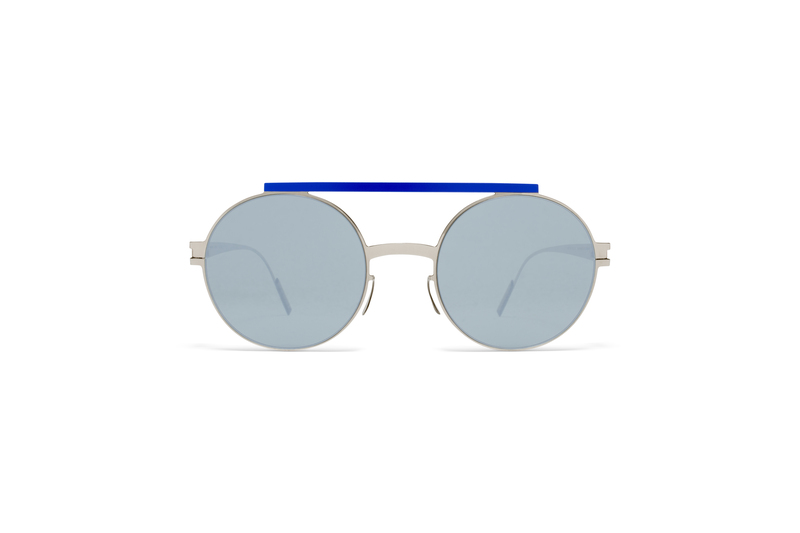 A prominent top bar and inverted mirrored lenses form a pop art aesthetic. Handcrafted in Berlin. Read more about the collaboration with the Japanese cult label AMBUSH.